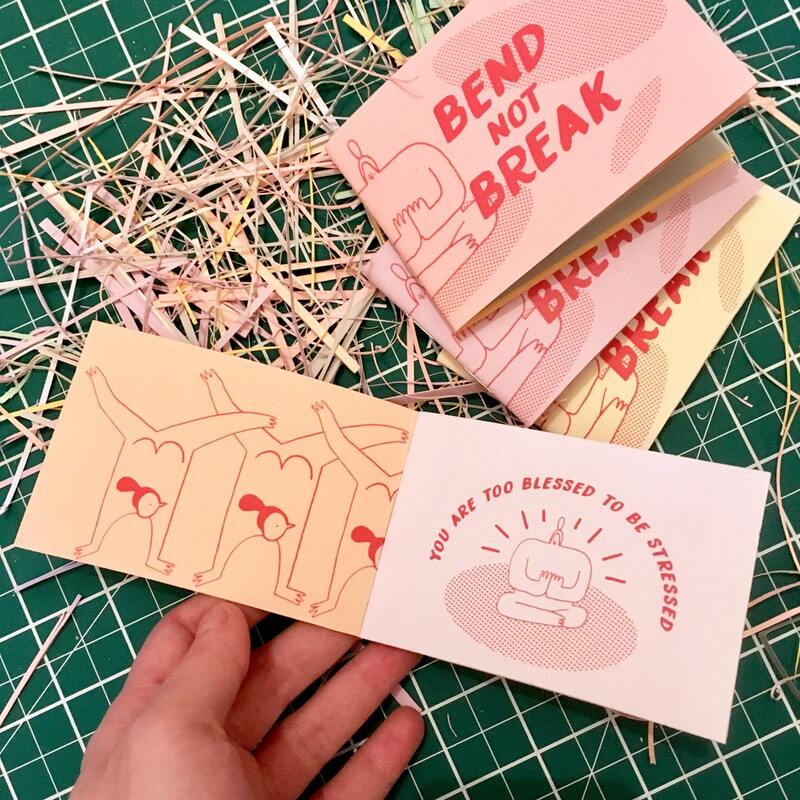 A handmade, 20 page, pocket-sized zine featuring tips for chicks striving to maintain a stress-free lifestyle. A note to the stressed, you are too blessed. 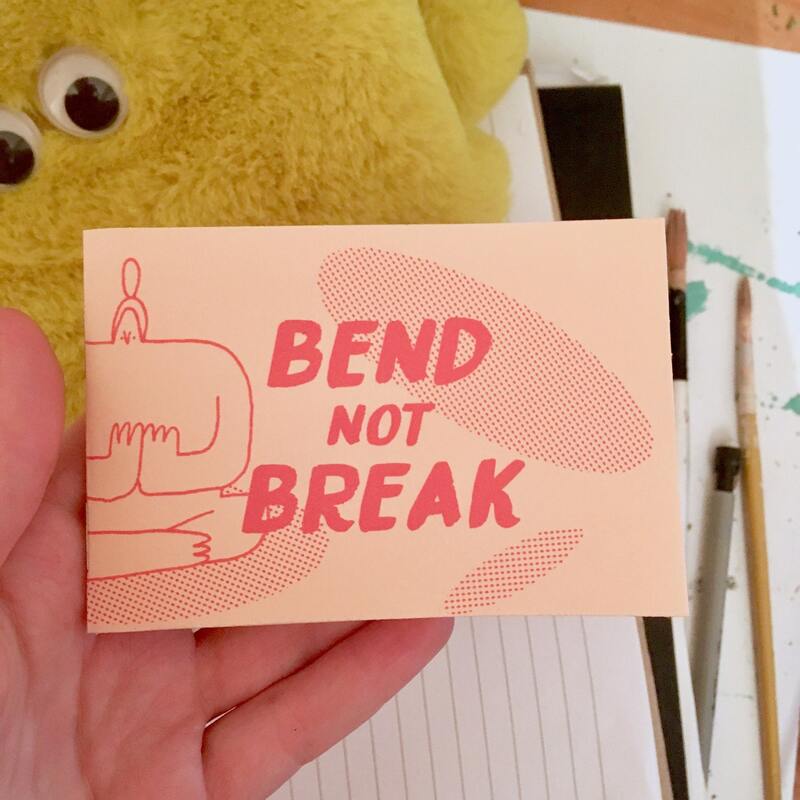 Keep this tiny reminder on you at all times; Bend Not Break. *Colours may vary. Attach a note with your order if you'd like a particular flavour, available in peach, pink, lilac and yellow. so sweet and lovely and an inspiring little zine, thank u so much !! Sent this directly to a friend - it arrived promptly and she loved it! Thank you! 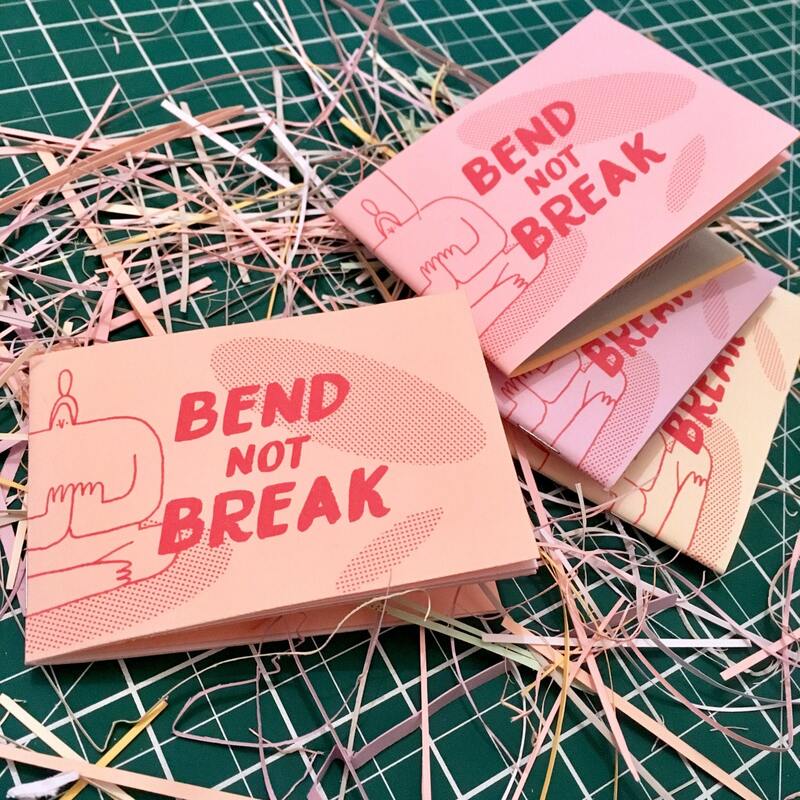 Fab little zine, fast dispatch and wonderful packaging - thanks Bobbi!